The BIG Weekend is Finally Here! We can’t wait to see you at the East Greenwich Art Festival this weekend at the new New England Tech Campus located on Division Rd. Come out for wonderful local art, live entertainment by Big Nazo, local eats, kid’s activities and MORE! Don’t miss out on this annual event! CLICK the below video to see what’s in store! BIG Thanks to ALL our WONDERFUL Sponsors! Check out Your Local EG Art Festival Featured Artists! Karen, , owner of “Chinawear by Karen J”, handcrafts beautiful and unique jewelry and belt buckles from fun and fine china. 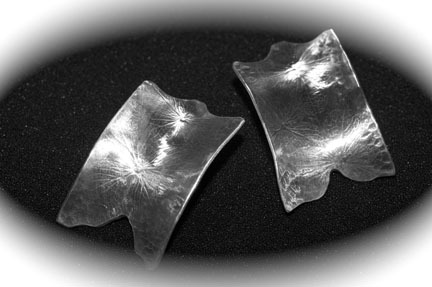 Each pierce is carefully planned, cut, ground and turned into beautiful pieces of jewelry from dinner plates! Karen pulls her inspiration from her love of fine china from England and collecting tea pots and tea cups for many years. 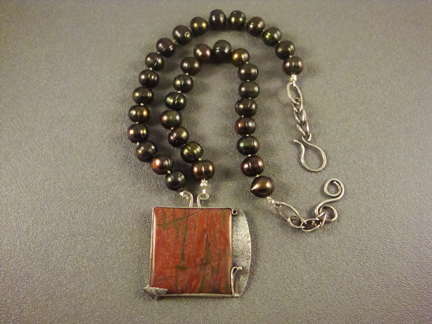 Make sure to check out Karen at the East Greenwich Art Festival on September 1st and 2nd at the New England Tech Campus! 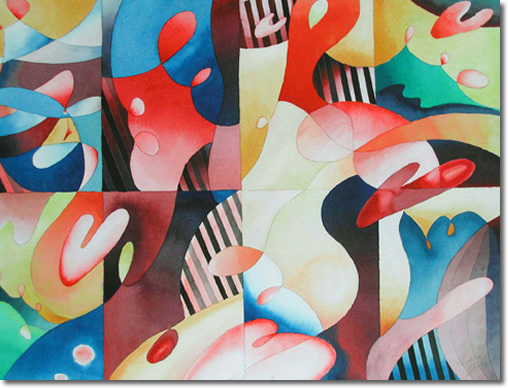 Hiroko Shikashio of Hiroko Art uses color as the key element in her abstract watercolors and collages. She is moved by scenes and simple objects surrounding her and seeks to assimilate and transform her works into colorful imagery. The backbone to her art life derives from the fact that her father was once a famous artist in Japan. 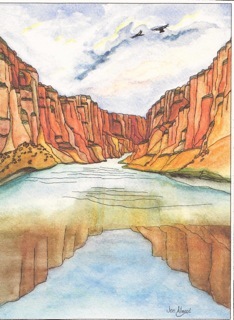 His influence of loving what he does has driven Hiroko to make beautiful works of art. 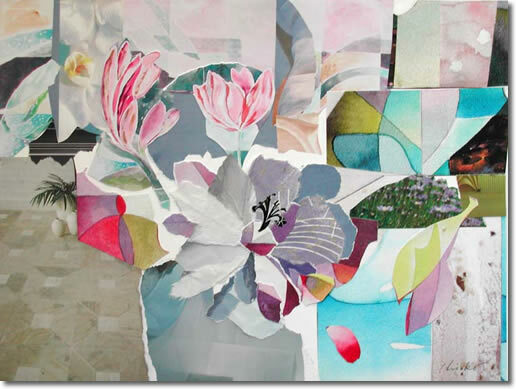 While Hiroko began as a watercolorist, she soon began to expand her media, moving into acrylics, oil sticks and then to collage. She is extremely passionate about world traveling and naturally takes photos wherever she goes – this became serious media for expression in her recent years. People ask me which media do you enjoy most, then I must say, I love all of it. I rotate expressing creativity in all media. Visit Hiroko online today and make sure to come support her and your other local artists at the East Greenwich Art Festival coming up just next month! – You won’t want to miss out! Big thanks to our fabulous sponsor! 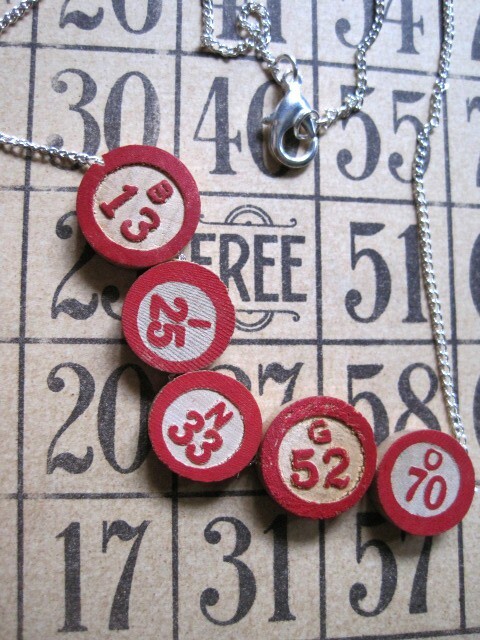 Kathleen Barris, creator of Transitions Jewelry Designs, designs and creates one of a kind jewelry with the intention of providing people with a “go to piece” or a frequently worn “statement piece” rather than one you save in a box for a special occasion. 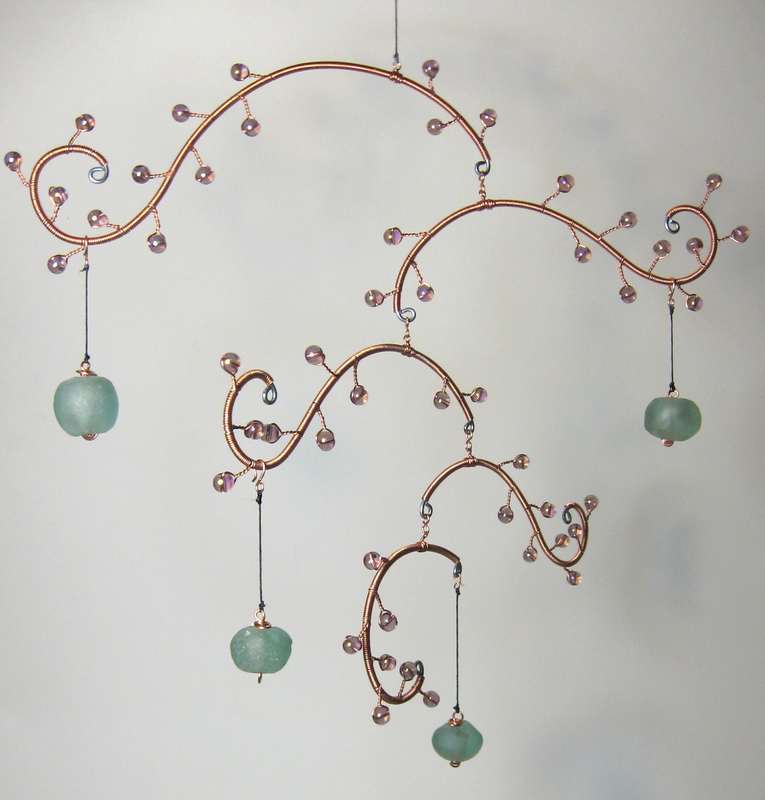 Kathleen is currently working on very sculptural pieces, including spiculum and Mobius – forms from the distant past – to which she gives a contemporary twist. 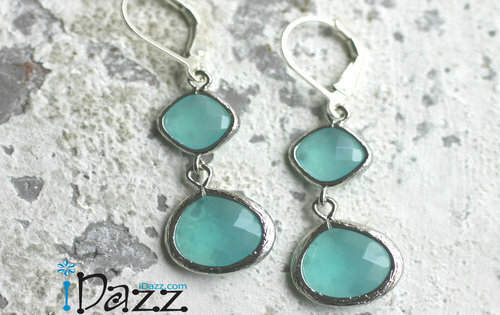 Recently, she and her husband (also business partner), started learning Lapidary. 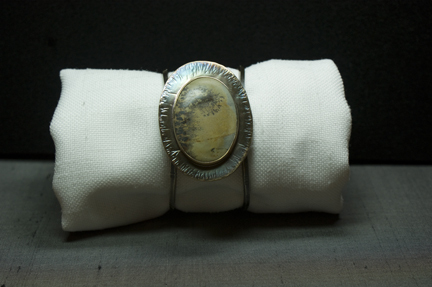 They have even begun to set up their own Lapidary studio in order to cut their own stones, allowing for great flexibility in the design process. 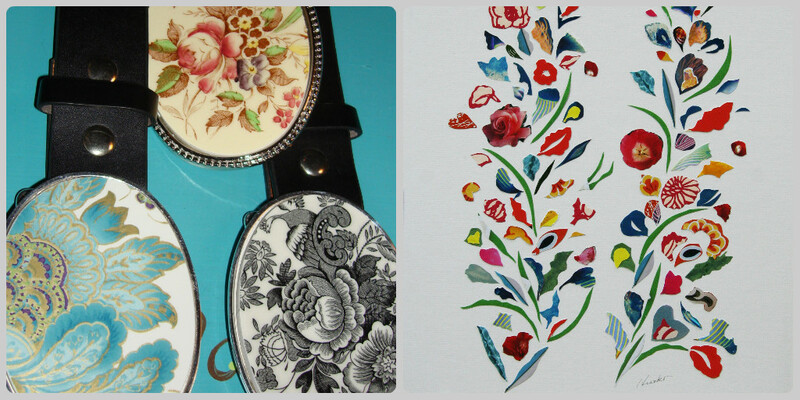 Look out for these pieces to begin to making appearances in upcoming shows! 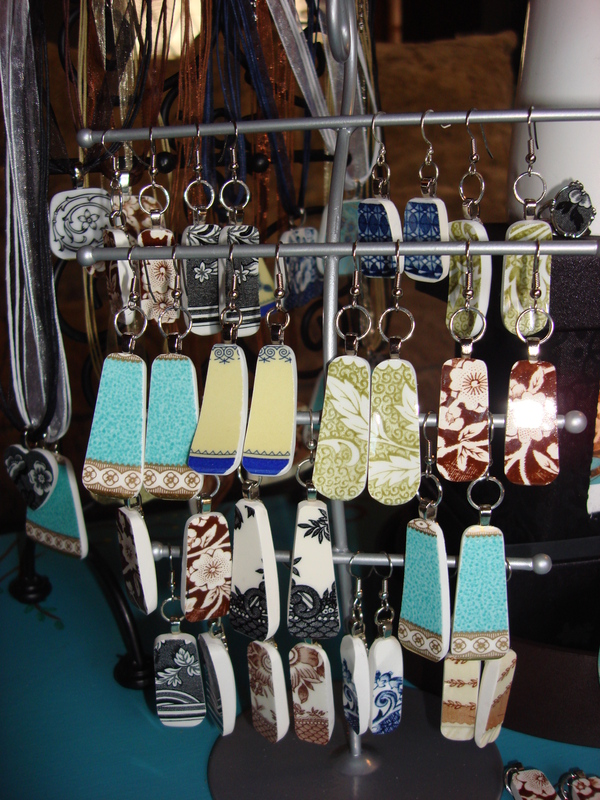 Melissa Rocklen of Rocklen Designs creates jewelry and mobiles using metal, glass, stone, and paper clay entirely by hand – meaning she does all the forming, hammering, wire-wrapping, sculpting, sanding, and finishing. 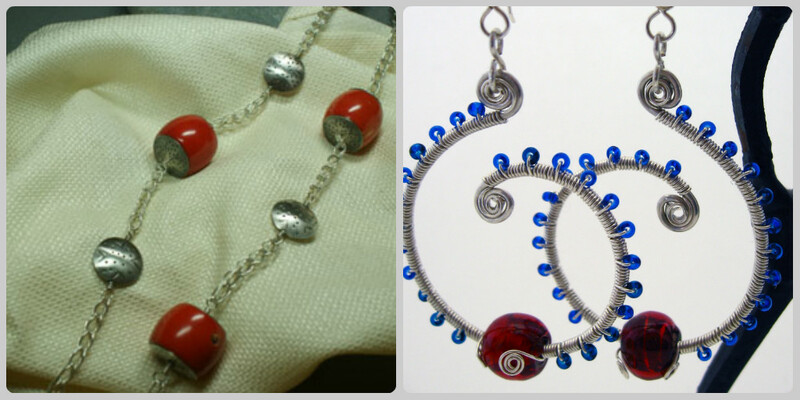 Her jewelry is sterling silver, with copper and bead accents. 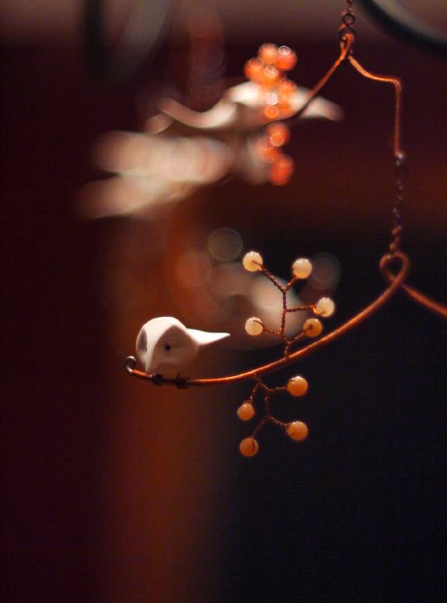 Her mobiles are made using steel, copper, paper clay and glass and incorporate her handmade birds which she sculpts and sands individually, giving each one a unique personality. Melissa’s inspiration has changed over time. While her jewelry making began after returning home from studying mask-making in Mexico, Ghana, Mali, and Indonesia where the images in her head were inspired by the shapes and designs she had seen in her travels, she is now most inspired by seeing people smile. The creation of Melissa’s Birds & Beads Mobiles began in the middle of an extra-long winter, when the cold darkness was making people a bit more tired and sad. The birds, with their movement and whimsy, seemed to cheer people up. 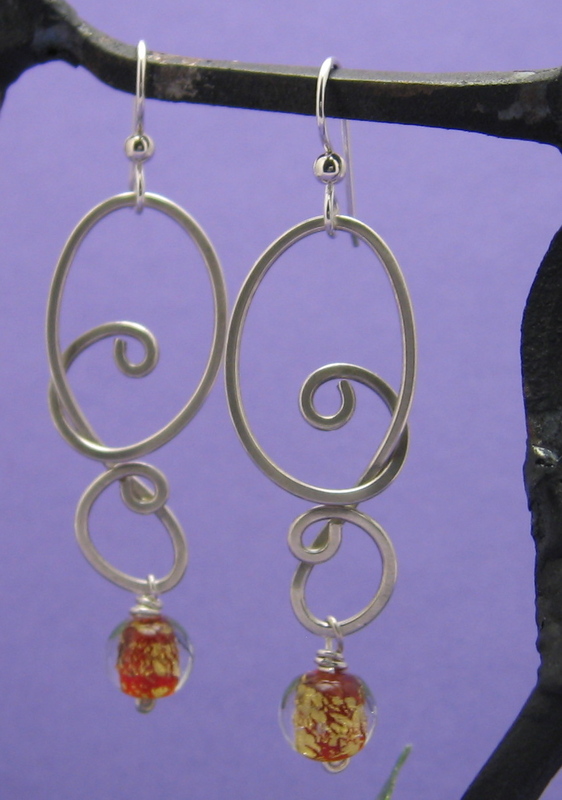 Since then, she has been working on making jewelry and mobiles that have a playful effect. Melissa began making art when she was very young – drawing inspiration from her mother who was a print maker. 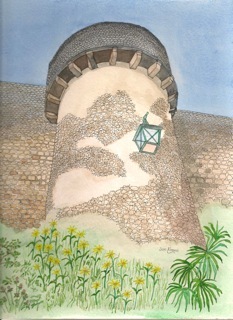 As she grew older, she also focused on drawing, painting, and printmaking. It was only after studying mask-making in other countries and seeing how people used and wore art in their everyday lives that she realized she wanted to make functional art. You will find both Kathleen and Melissa at the East Greenwich Art Festival on September 1st and 2nd at the new New England Tech Campus! Don’t miss out on this opportunity to support your local artists and enjoy a fun-filled day of art, entertainment and merriment! And don’t forget to put the Festival Fete Holiday Market on your calendar for December 1st and 2nd at the Garden City Center! It will be here before you know it! These two wonderful artists will be at the East Greenwich Art Festival on September 1st and 2nd, will you? 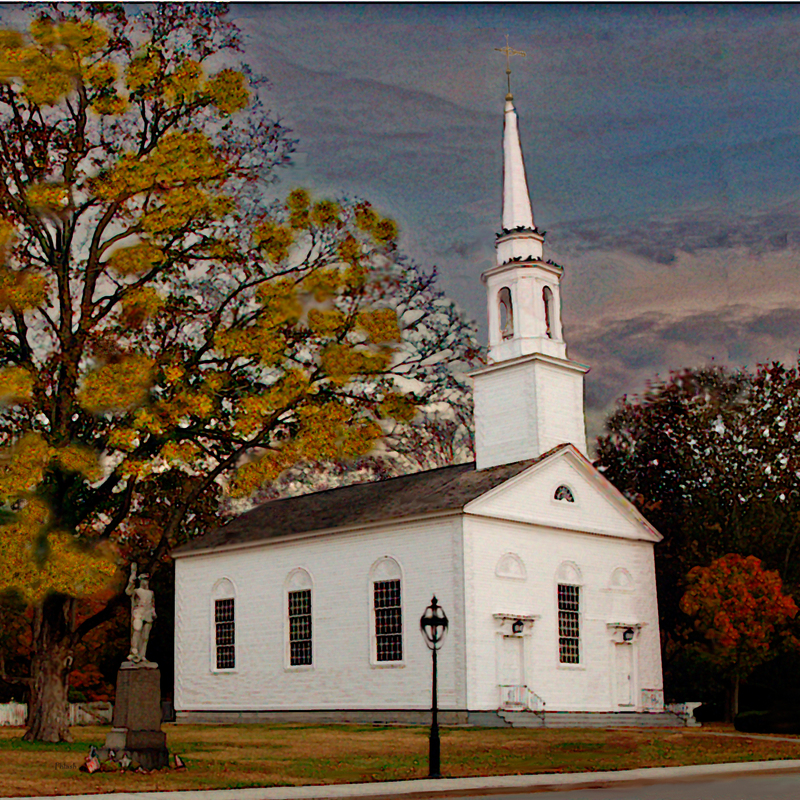 Erin Walsh of Phlash Photo Art digitally enhances her images in order to give the look of a classic oil painting. These images are printed on canvas and framed in reclaimed barn wood, morphing into unique creations of her own design. Photographing the original image is just the start of process…. Much of Erin’s passion and inspiration derives from rendering homes into beautiful pieces of fine art – beginning with a painting created by her aunt years ago. 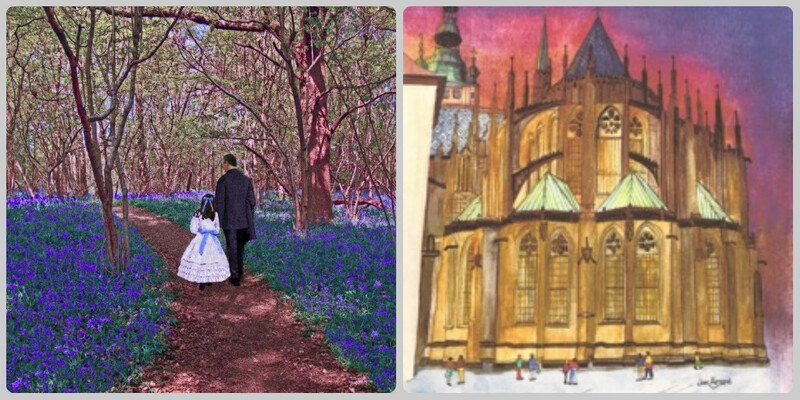 Along the way, Erin has also taken inspiration from the works of Thomas Kinkade in an attempt to bring a little magic and whimsy into the images and make them look as good as she imagines they could. Ultimately, her joy comes from the satisfaction of her clients when they see the final image. 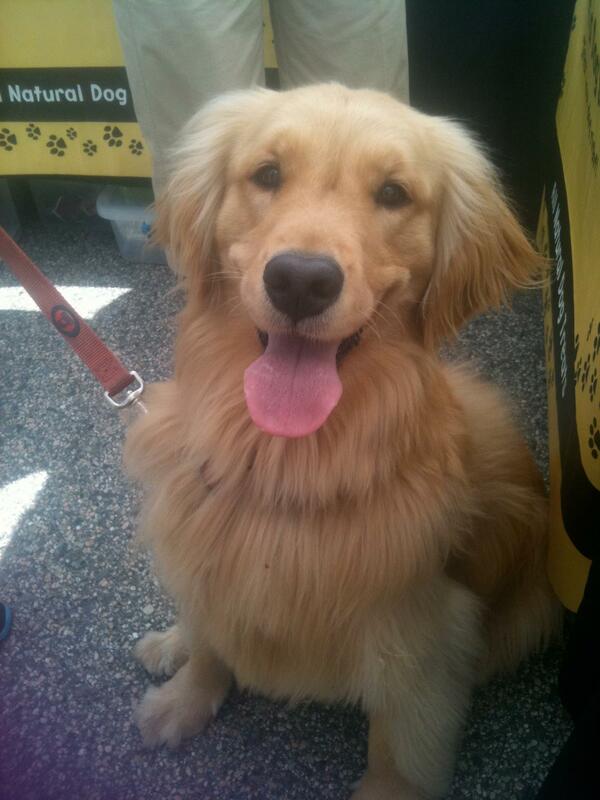 Check out Erin online today! 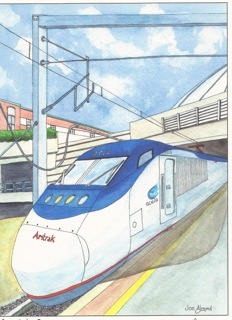 Jonathan Almond works specifically with watercolor – featuring 6×9, 9×12, and 12×15 paintings mostly of historic buildings, landscapes and trains. Throughout his years as a painter, Jonathan has developed a distinctive style in which he makes a pencil drawing followed by a fine point archival ink pen in order to make a more detailed image. 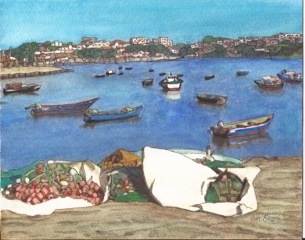 He then applies the watercolors often using vivid and bold colors for the final product. Check out Jonathan’s work online today! And make sure to come out to the East Greenwich Art Festival on September 1st and 2nd to see works by Jonathan Almond, Phlash Photo Art and more of your favorite local artists! 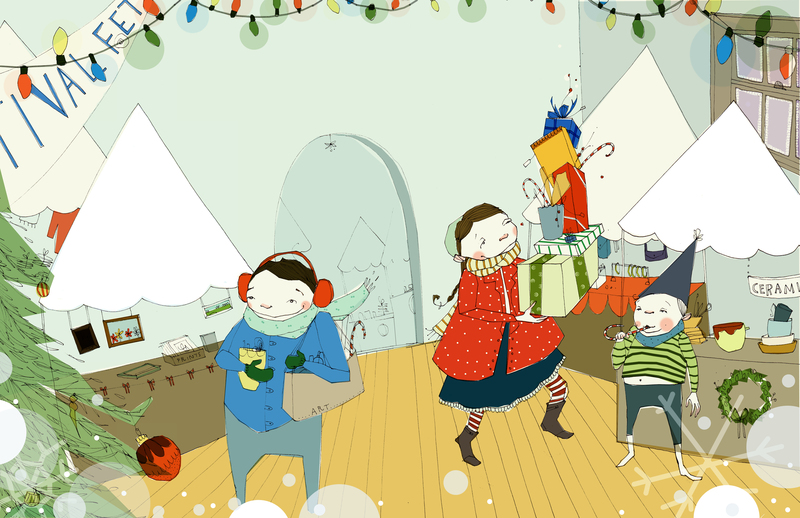 Festival Fete’s annual Holiday Market – December 1st and 2nd at the Garden City Center – 10am – 5pm daily! Even MORE To Look Forward To! These two WONDERFUL artists will be at the East Greenwich Art Festival on September 1st and 2nd at the new New England Tech Campus in East Greenwich, Rhode Island! Will you? Did you know that burlap sacks get discarded after the roaster empties the green unroasted beans? 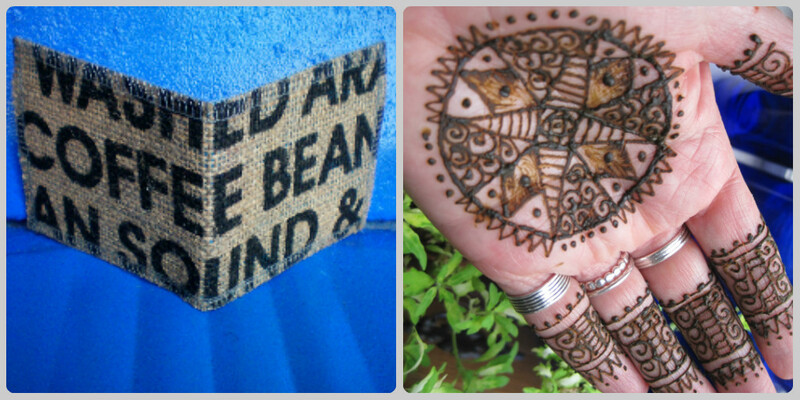 Artist April Gramolini makes accessories for men and women out of local roasters’ coffee bean sacks! 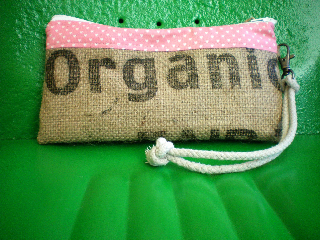 Since coffee sacks are made from woven strands of jute which is natural fiber in the hemp family, it doesn’t need pesticides or even fertilizer to grow, making it even more sustainable and eco-friendly when reused. 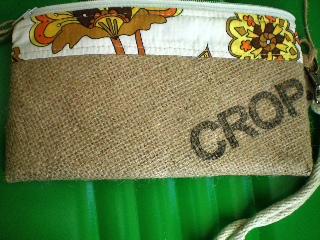 April creates wallets, belts , wristlets and more on reclaimed industrial sewing machines from the 60s. 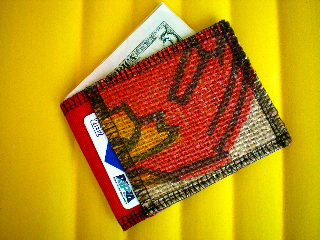 The individuality of the coffee sacks’ screen printed designs inspires her to create every single item unique and different from the last. Fabric linings are found from thrift and consignment stores as well as mill overstocks, making each wristlet and purse even more special. Additionally, April truly loves to hand weave with her Ashford table loom and has recently been experimenting with jute and cotton, mixing those rough and soft textures again. Make sure to check out April online at her Etsy site and support her beautiful work by “liking” her Facebook page and of course, don’t miss her at the East Greenwich Art Festival! 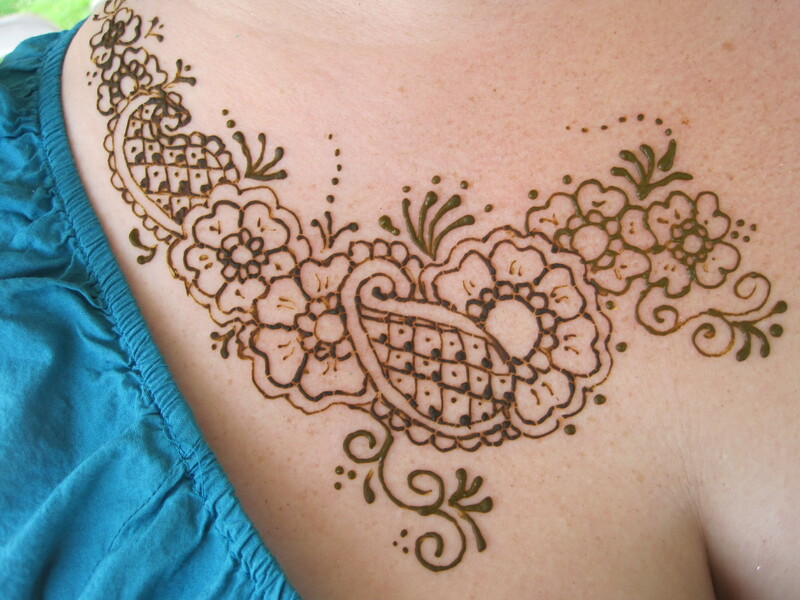 Donna Lyons, aka Barefoot Henna, creates all natural body art through the use of Henna – a medium sized shrub that grows in hot, arid conditions. For many centuries, the people of these areas, North Africa, Middle East, and Southeast Asia, have used henna to dye their hair, beards, fingernails and skin. 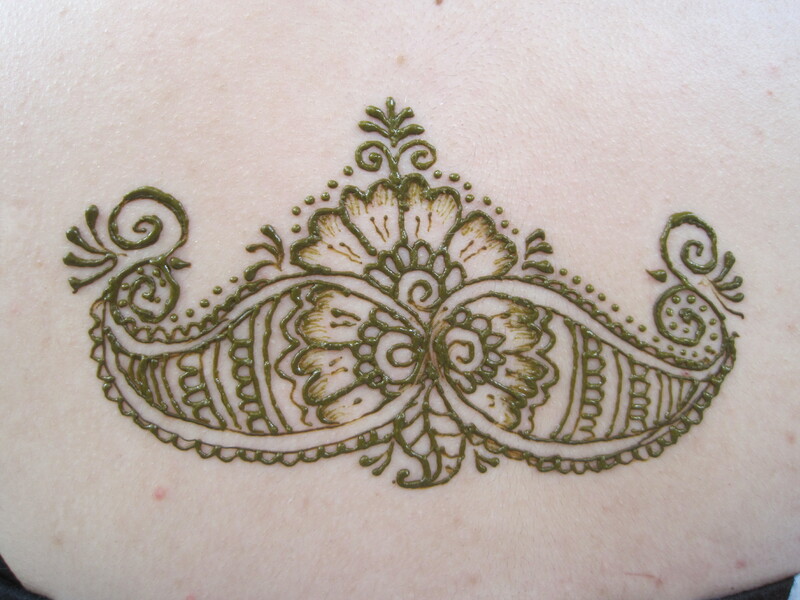 It is often used in celebratory rituals, drawn on to the skin in patterns, much like tattoos, but not permanent. The dye in the plant leaves stain the skin cells a lovely range of brown tones, and as the skin replenishes itself, the stain wears away. Each of these regions has a unique style, for example, the Africans use very geometric, linear patterns, while others use floral motifs, and the traditional paisley type design. Henna powder, from harvested, dried, ground, sifted plant leaves. Lemon juice; used since the acidity helps break down the plant fibers, thus, releasing more dye. Sometimes teas are used. white table sugar; it helps it stick to the skin. 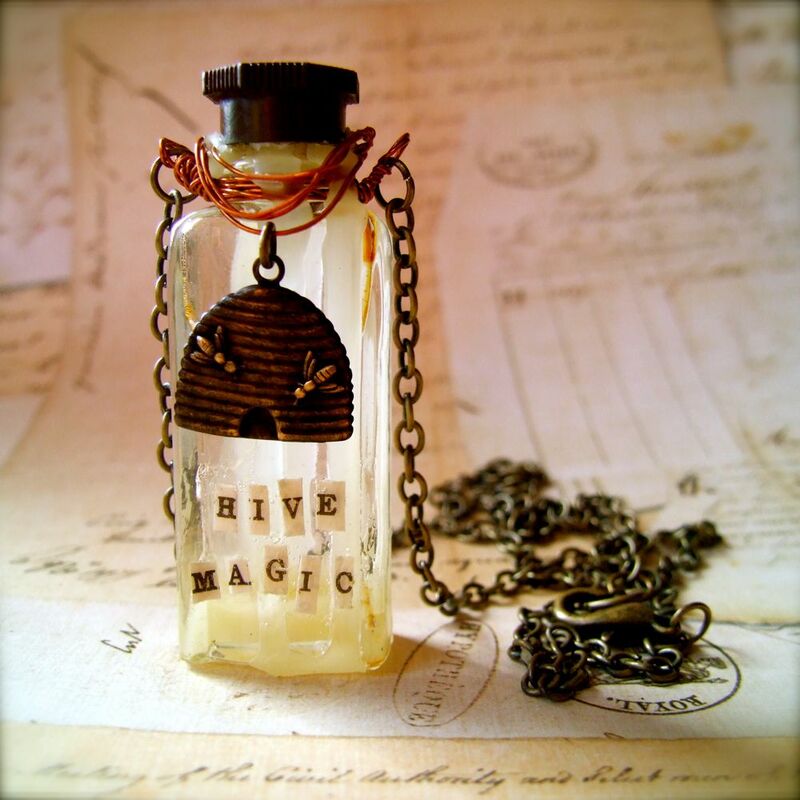 essential oil; typically cajeputi, tea tree, or lavender; others are used, but mostly for scent. these are monoterpene oils that also break down the plant fibers to release dye. 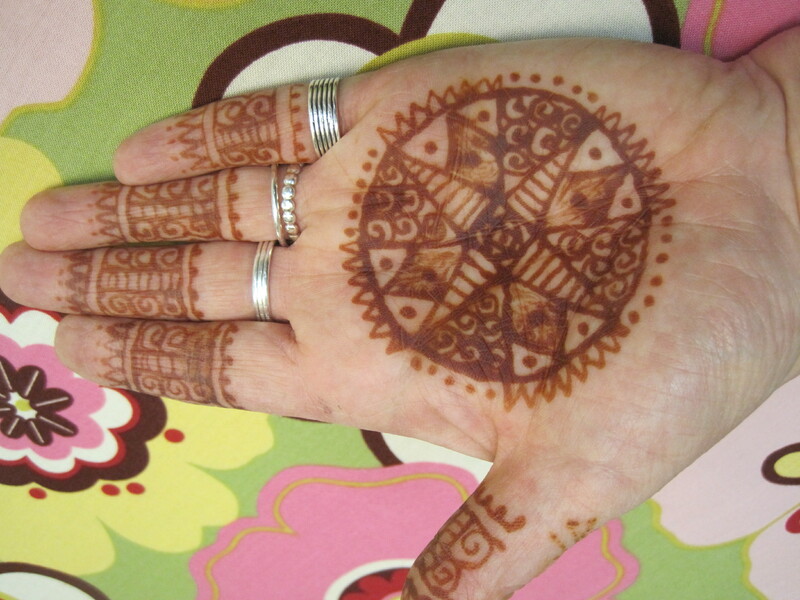 Always avoid Black Henna – Do your research on it. 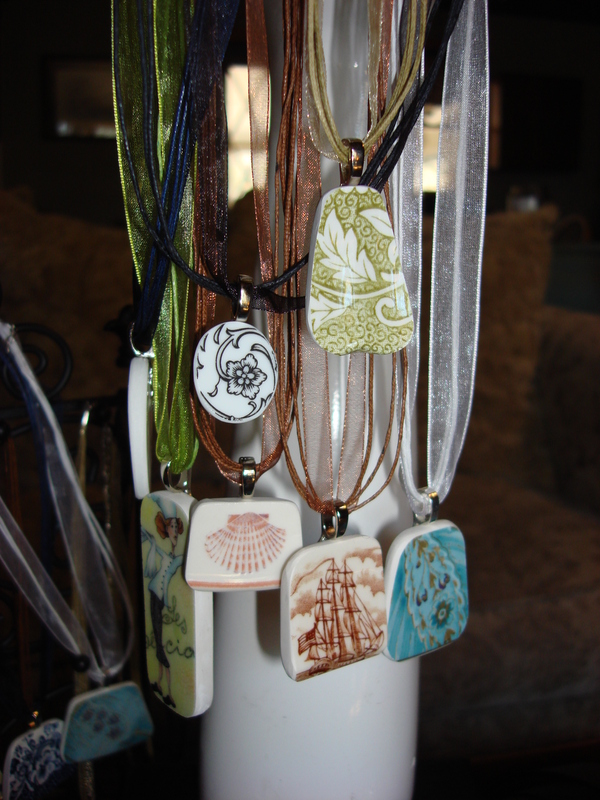 Donna Lyons will be at the East Greenwich Art Festival on September 1st and 2nd and we hope to see you there as well! – You won’t want to miss out! Sneak Peak: EG Featured Artists! 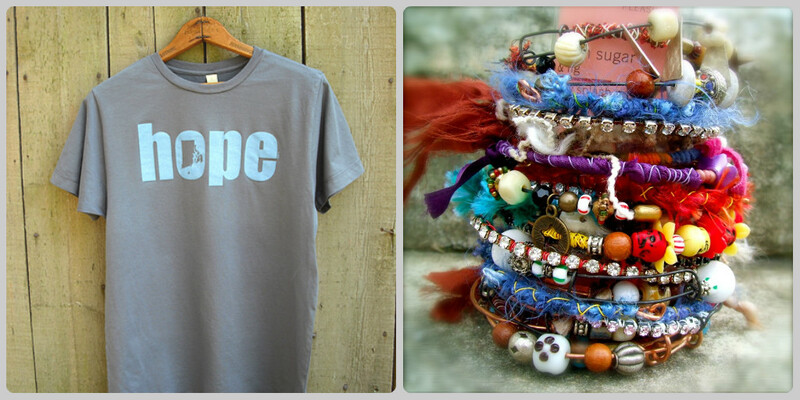 Rhode Island’s Official State Motto, HOPE – proud and loud on the t-shirts. 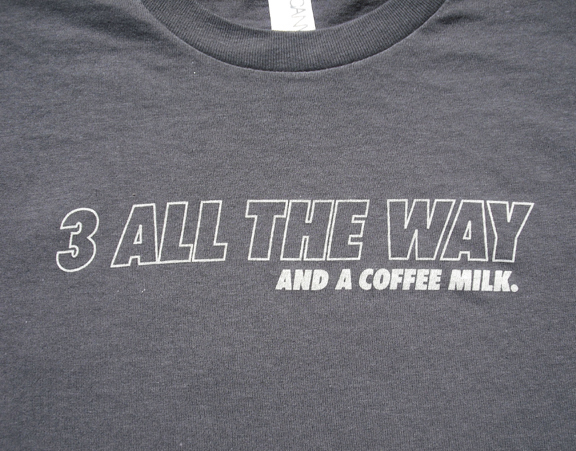 All The Way and a Coffee Milk – the perfect shirt for the Home of the Hot Wiener. Blue State – it’s an Election year, and I think I know which way this state will vote! 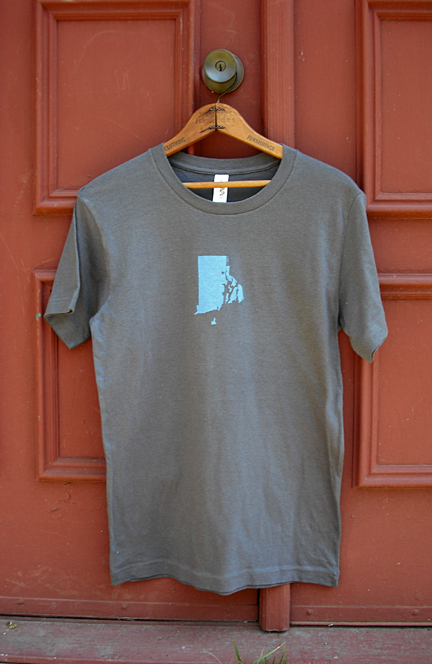 Ann was inspired to create these shirts because in her opinion, there were no fun, intelligent, interesting, high-quality t-shirts that were made by and for Rhode Islanders. Her shirts are not ordinary t-shirts, they come preloaded with style, fit, and the satisfaction that comes from supporting the entrepreneurial spirit that makes Rhode Island great! Another great thing about these T-shirts? 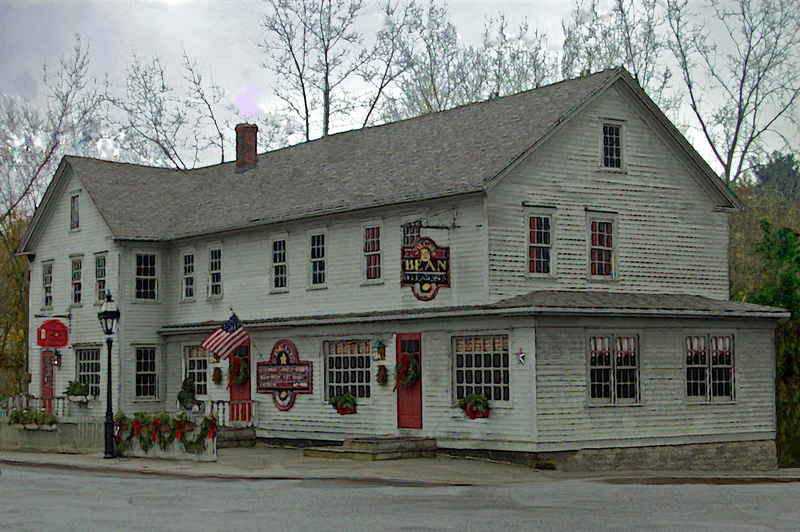 Printed here, sold here, and support a micro-business, in turn, supporting other local businesses and entrepreneurs. Anne promises to spread the love! What difference can purchasing a T-shirt do? 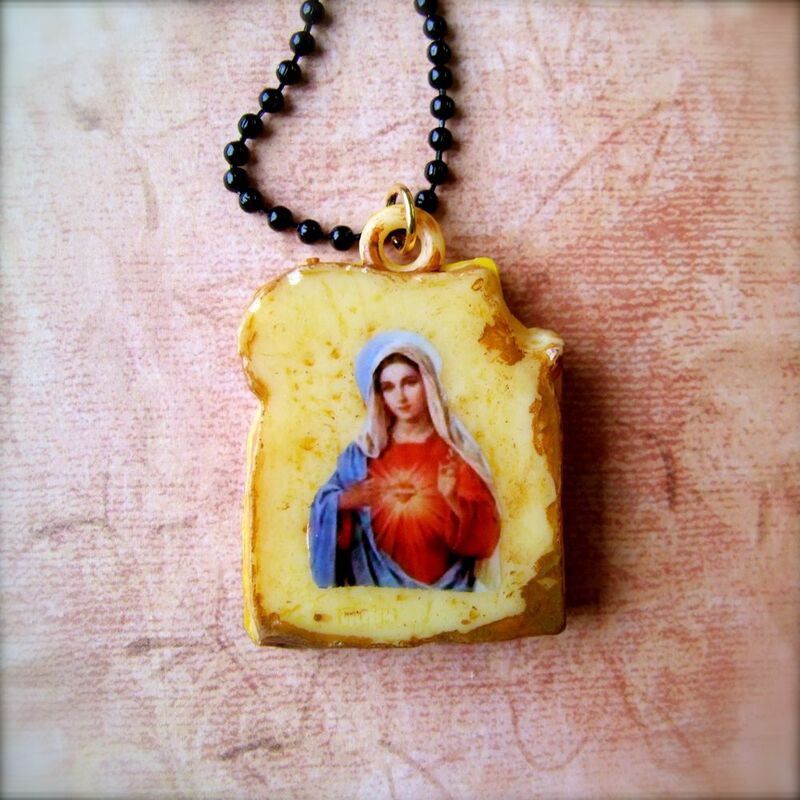 Zoe Ma, a mostly self taught altered artist, incorporates found objects into jewelry, shrines, and other art oddities. 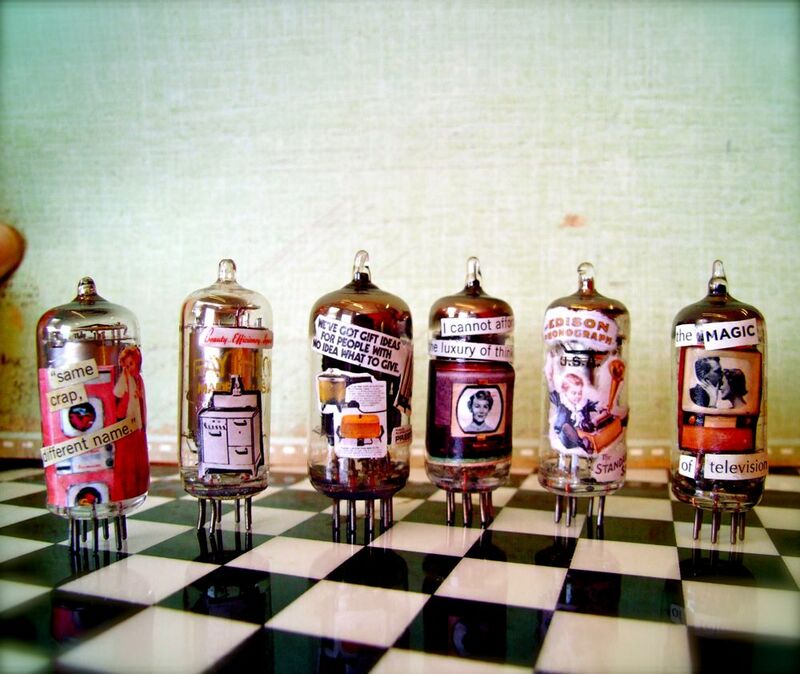 She strives to make everything one of a kind, and finds great joy in amusing the viewer. Everyday events, a past career in the field of psychology, and her mother. She is drawn to themes of human relationships and behavior, to strong women, and to people who have been seen as odd or unique. Check out Back Roads by Anne Berg and Valley of the Doll by Zoe Ma at The East Greenwich Art Festival on September 1st and 2nd at the new NE Tech Campus! 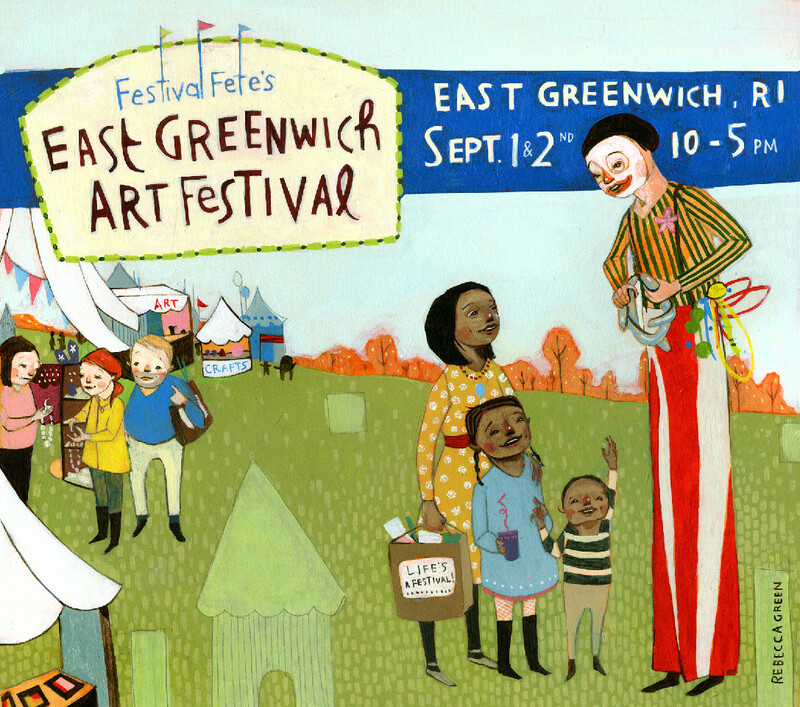 East Greenwich Art Festival Coming Soon! The main inspiration behind their work is Kristin Paradis’ 170 lb.St. Bernard, Otis, a frustrated fashionista, who had nothing cute to wear! 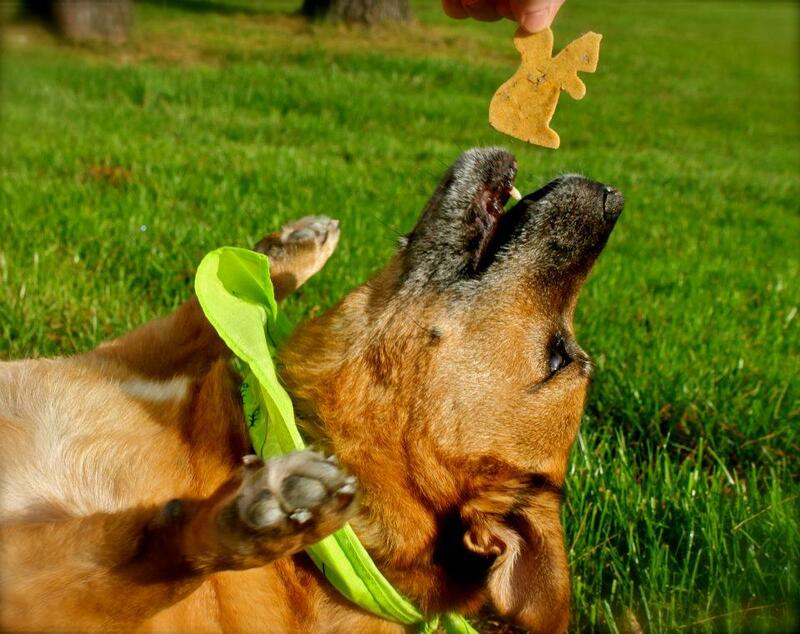 He also suffers from various allergies, so after much research, and many delicious trials and errors, It’s a Dog’s Life Bakery was born. 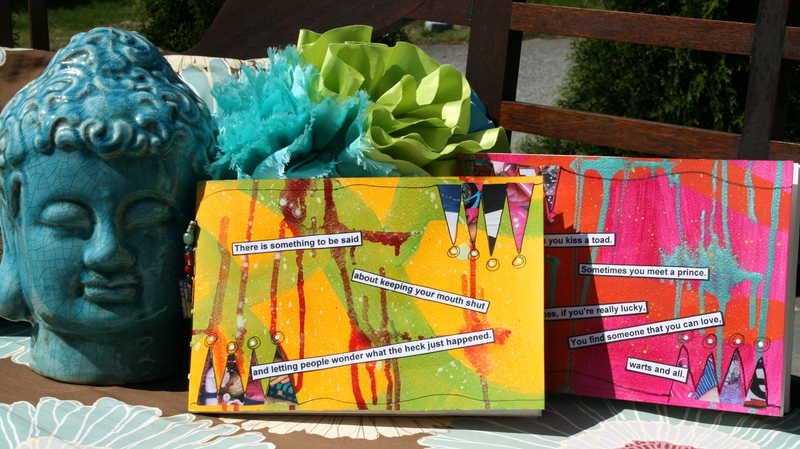 Collage and art journaling professional, Nancy creates handbound blank art journals filled with 140# paper with fun designs and sayings on them. 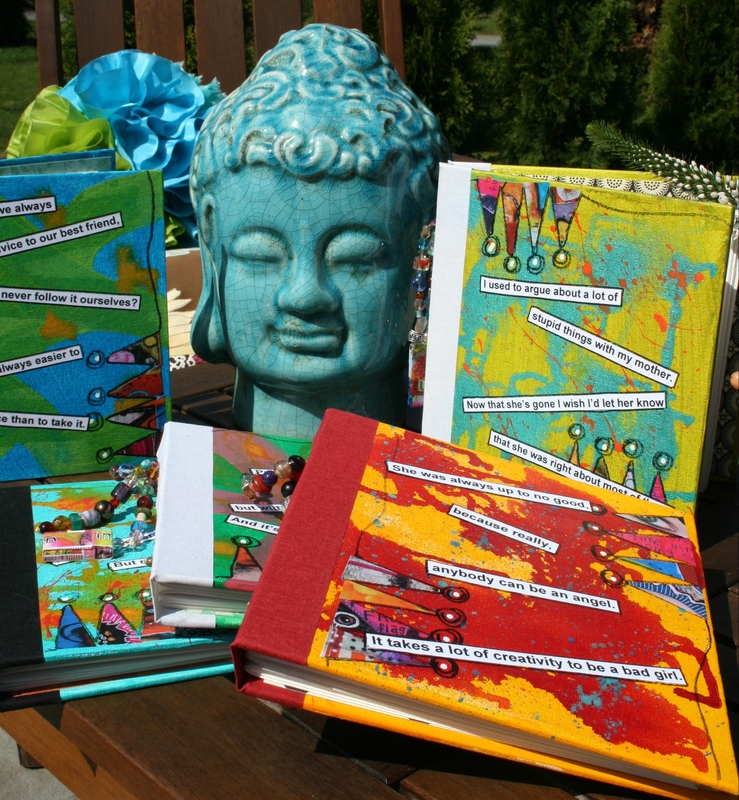 The journals are unique because there are so few blank journals with this great paper, which can stand up to watercolor, acrylic, glue, collage and never bend or buckle. 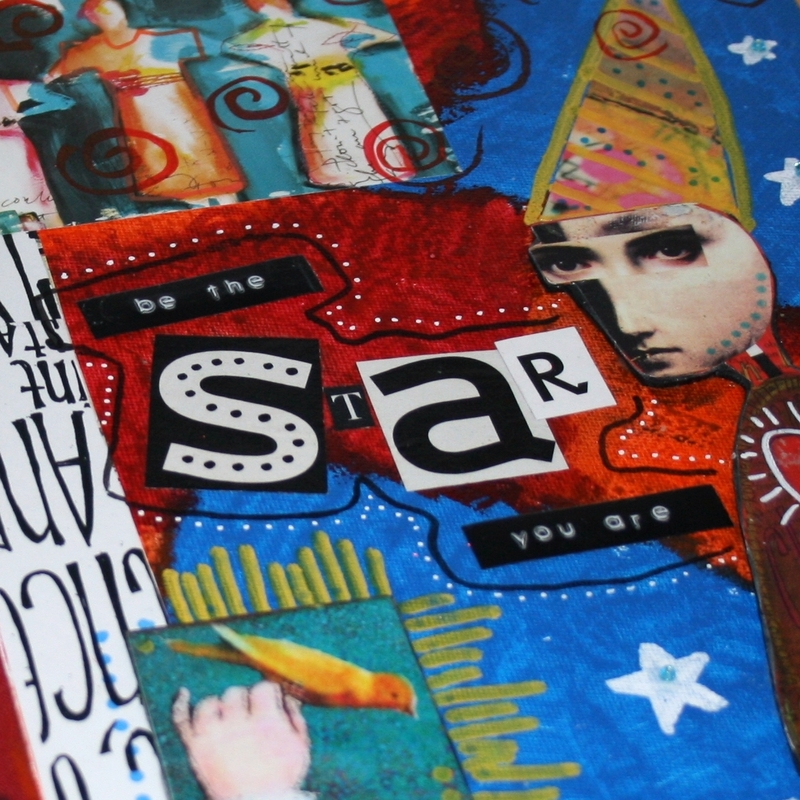 Her inspiration for creating journals is the love she has for art journaling herself. She spends at least 30 minutes every day working in her journal…and usually a lot longer! This summer, Nancy has become involved with an international group call Art Abandonment (created by Michael and Andrea deMeng) that invites artists around the world to create art and then leave it somewhere where others can find it and take it home. There are more than 5000 people involved in the project! Nancy has created a giving tree in Wickford with a few dozen pieces hanging from the branches, and received three emails from people who found them and took them home. She thinks it’s a great way to celebrate art and share it with the world and so do we! These are only a couple of our wonderful participating artists and vendors that will be at the East Greenwich Art Festival on September 1st and 2nd at the New NE Tech Campus! Stay tuned all week for more fun features about our artists and festivals!